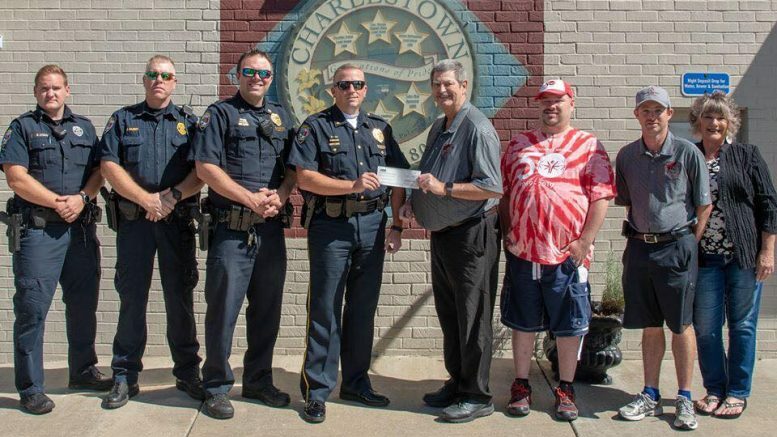 On Friday, September 28th the Clark County Special Olympics was presented a check for $3000 from Police Officer fundraising activities! From October of 2017 to March of 2018 Officers donated a portion of each of their pay checks to Special Olympics. An account was set up at New Washington State Bank for the public to drop off donations as well. We appreciate each Officer and each member of the public who made a donation! 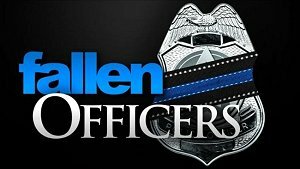 Officer Brandon Lyons, Lt. Brion Gilbert, Asst. Chief Tim Wolff, Chief Keith McDonald, Special Olympics County Coordinator Steven Binggeli, Nathan Snyder, Steven Binggeli & Linda Snyder. Officer Jonathan Roederer, Officer Albert Purcell, Officer Tyler Lyons, Officer Eric Kruse, Officer Cameron Dickerson, SRO Adam Clark, K9 Ben Bertram, Officer Thomas Bamforth & Officer Jeff Fields.